Estee Lauder Companies Beauty Box 2019 is out for UK! Plus, New Offers at Nordstrom, Bloomingdale’s, NET-A-PORTER and Skinstore! Estee Lauder UK and select Estee Lauder Companies UK is offering Little Box. Big Day. 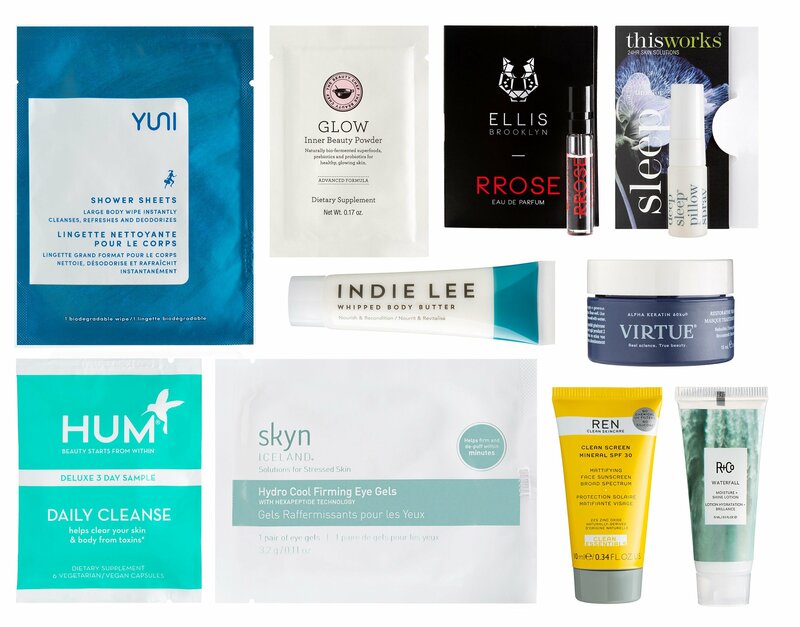 Beauty Box or Estee Lauder Companies Beauty Box 2019 £28 This post may contain affiliate links. Read the full disclosure. *HOT* Friends and Family at 15% off beauty at Bloomingdales and Lord & Taylor Plus New Lancome and Estee Lauder Fall GWP! There are high value Lancome gift with purchase + $15 off at Bloomingdale’s and fall Estee Lauder gift with purchase + 15% off at Lord and Taylor. Enjoy! Lord & Taylor (NEW) Charity Day 15% off on any beauty purchase with code “GIVE” or up to 30% off everything else. (NEW) Estee Lauder Fall gift with purchase 2018 – Free 7-pc Gift with $37.50 Purchase + Plus Extra 3-pc with $75 Purchase. (NEW) GIFT 1: 15% off + Your 7 piece gift with any $37.50 Estee Lauder Purchase, worth up to $155.00 This post may contain affiliate links. Read the full disclosure. *HOT* Clinique Bonus Time at Bloomingdale’s Combined with $15 Off Plus Sephora First Time Ever Gift Card Rewards for Rouge! It’s a Clinique Bonus Time August 2018 at Bloomingdale’s with a sweet $15 off Clinique purchase!! Plus, there are new $100 gift card rewards for 2500 point at Sephora and 15 new beauty gift with purchase offers for you! Bloomingdales (NEW) GIFT 1: Take $15 off every $75 purchase Clinique, Ends on 08/29. (NEW) GIFT 2: Receive a free 7-piece gift with any Clinique purchase of $28 or more at Bloomingdales.com! PLUS, spend more to receive up to 10 pieces worth over $135. Offer valid through Sep 11. Dear Readers, tomorrow I may have the next big things to share! Stay tuned! This post may contain affiliate links. Read the full disclosure. Hi Everyone! There are amazing 22-pc fragrance beauty gift bag at Nordstrom and 15-pc mystery gift at Bloomingdale’s beauty events. Nordstrom Anniversary Sale NORDSTROM (NEW) Get a Free 22-Piece Gift, yours when you spend $125 on fragrance. A $97 value. Gift includes: This post may contain affiliate links. Read the full disclosure.